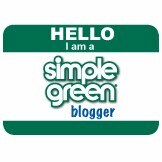 I do not consider myself an over protective parent, but I have to admit that I believe in safety. 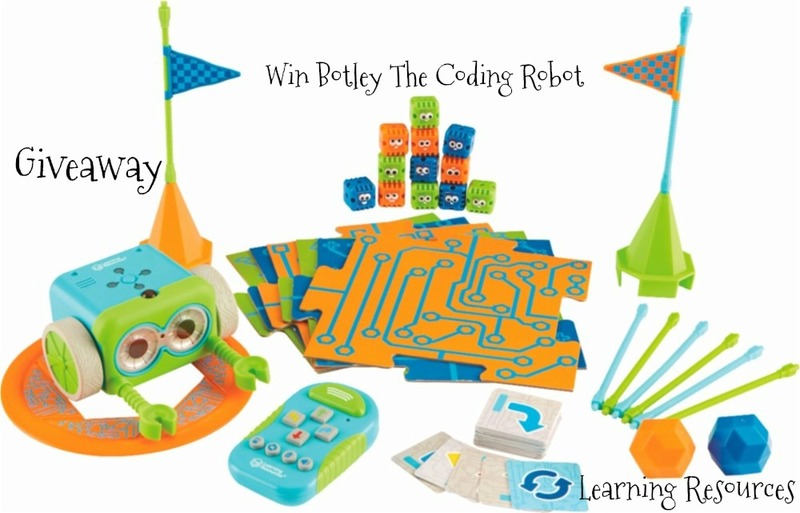 I want to make sure that when my little bug is playing and having fun, she is also protected just in case a little accident happens and that especially applies to when she is riding her bike or her scooter. So I like her to wear a protective helmet which I must add took some convincing to do, so I figured that if she had a really cute helmet, then it would be easier for me to convince her to wear it. Raskullz has a great selection of protective gear that kids need to have with a twist, so they actually want to have them…. It is like when you disguise the veggies so that your kids do not realize they are getting their vegetables. I think it is the same basic concept here as the Raskullz product makes this protective gear like helmets fun and attractive to kids, so they actually want to wear them! I was given the opportunity to try the Cutie Cat helmet in pink. 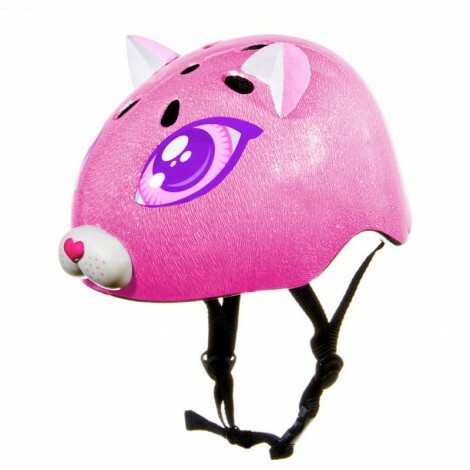 The helmet features a super cute kitty cat with huge eyes and pointy ears that is just adorable. The ladybug has loved the helmet since the minute I brought it home so having her wear a helmet while she is riding is not a problem any longer. Cute is only what meets the eye, these helmets are CPSC and ASTM certified: They comply with CPSC and ASTM standards for bicycle helmets, and in addition, the helmet has a shock-absorbing EPS inner shell that is built to protect your kids head. The helmet also features aerodynamic cooling vents that will help keep their heads cool and that is a very appreciated feature here in the warm Florida weather. The straps are made of nylon and are adjustable for a great fit…The helmet is available in different sizes that goes from kids 3+ to 8+ and has a retail price of 24.99. 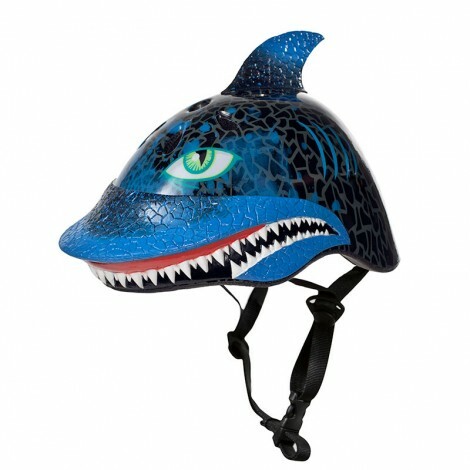 Raskullz also offers other fun products like bikes and scooters, backpacks, and even swim items with the same types of cute designs found on their helmets….So now that temperatures are warming up is the perfect time to gear up for Spring and the soon to come hot Summer days! 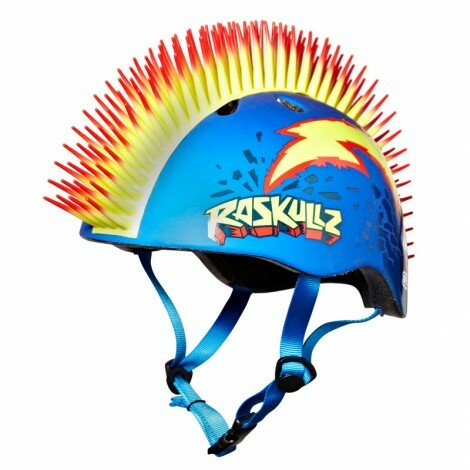 Raskullz has kindly offered one lucky Born 2 Impress reader, the chance to win a free helmet of choice. I love the leopard mohawk. My son has a shark helmet and he loves it. NOTE: I don’t think the tweet is working on this one, when you open it, it just puts a check mark, I went back to my tweets and there’s nothing there. There’s nothing there to tweet it just shows you already tweeted. The Cutie Cat | Purple-Backpack is so cute! I like the Dark Pink Buggins helmet. I like the Body Board | Shark Attax for my little fish. I love the Pirate Mohawk Helmet in Blue. Love the Princess Pink helmet! I like the Cutie Cat-Pink. I love the Shark Attax Swim Mask. How cute! I like the Buggins helmet in red. I love the pirate skull mohawk helmet! I like the Buggins Bike! I like the Buggins | Pink!!! I like the Giddi Yup | Black helmet. I like the shark attax helmet in orange for ages 5+. 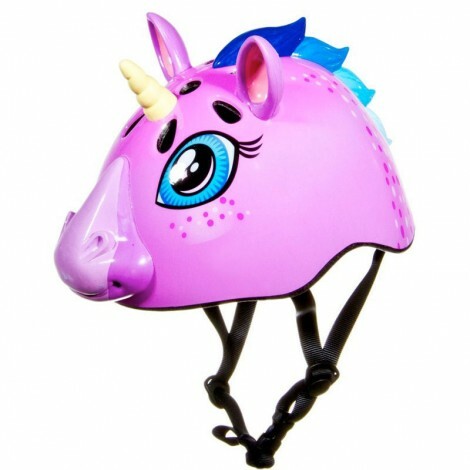 i love the pink princess helmet! My daughter would love the cutie cat scooter. I like the miss missy mouse helmet, its adorable and I think my grandaughter would look adorable in it! Very cute! I think my kids might like these not only for bike rides but when we do other activities like our annual trip white water rafting.